Kaunas, Lithuania invites 4 artists from the CreArt Network to work for one month in Kaunas AiRin the period of April 23 – May 23, 2019. Kaunas Artist-in-Residence program is aninitiative of CreArt, launched in 2014. CreArt Kaunas partners, PE “Artkomas”, have a large experience of organizing visual arts projects, and short-term residencies in their city as well as other cities and towns of Lithuania. 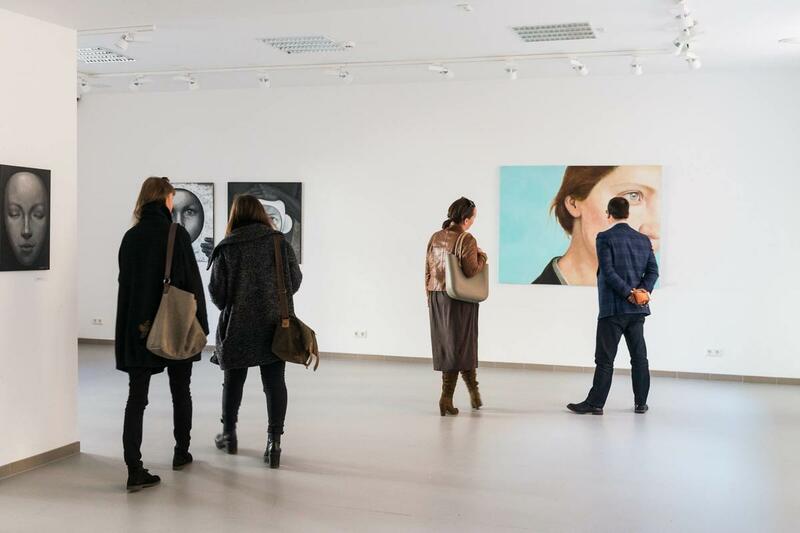 With their own focus on painting, “Artkomas” co-operates, however, with experts of other visual arts’ fields (like Kaunas Photo Festival, Kaunas Vytautas Magnus University New Media Studies Department, etc.). Therefore we are able to offer necessary conditions for creation to painters, photographers, and new media artists, who would like to participate in this part of CreArt project. Kaunas is the second largest city of Lithuania, with active cultural life. Situated in the valley of the confluence of the two longest rivers of Lithuania, the Nemunas and the Neris, the town itself became an example of a confluence of people and cultures, an attractive blend of architecture and nature. Although Kaunas is called the city of students and rich in cultural, sport, students’ events, it is an important industrial and cultural city with a population of over 320.000. The organization will reimburse to artists travel expenses to Kaunas (up to 500 €). Studio and accommodation is free. The artists will receive a grant of 350 € + 250 € for materials. “Domus Pacis“is situated in the centre of Kaunas, close to the historic Old Town and right by the tranquil park of Santaka which invites for lovely walks. All the town’s favourite places and sights are within walking distance and public transport takes you to any part of the town. The painters will work at the painting studios of “Domus Pacis”. The photo and video artists will we able to use the IT, 3D and photo lab of Art Center. * 1 artwork must remain for Kaunas city. Local artists – born or resident – in any of the cities taking part in “CreArt. Network of Cities for Artistic Creation”. Preference is given to works with a wide variety and diversity. There is no age limitation, yet it is necessary to have a degree in a field of art (university level). If the applicant does not have a university degree, proof of equivalent ability must be provided through his or her artistic career. In a period of one month you will work towards a final public presentation. • A short written project proposal (not more then one A4). Only applications with complete information will be accepted. It must be submitted before February 20, 2019. Kaunas AiR is going to consider your application and will inform you after March 10, 2019.